As per market research, the non-alcoholic beverage industry in India stood at US$2.5 billion in 2015. The market is estimated to grow at a CAGR of over 17% between 2016 to 2020. Eating fruits and vegetables is always considered good and beneficial for a nutritious lifestyle. But who would have thought that drinking them can be even more fun and delicious. Keeping the beverage trends under consideration, restaurants are coming up with varieties of fruit or veggie based drinks and non alcoholic drinks namely ‘Mocktails’. Considering the customer’s changing habits, it is perhaps the ideal time for alcohol free market to introduce varieties of mocktails. Alcohol free drinks are catching the attention of restaurants and chefs as the segment is showing promise. 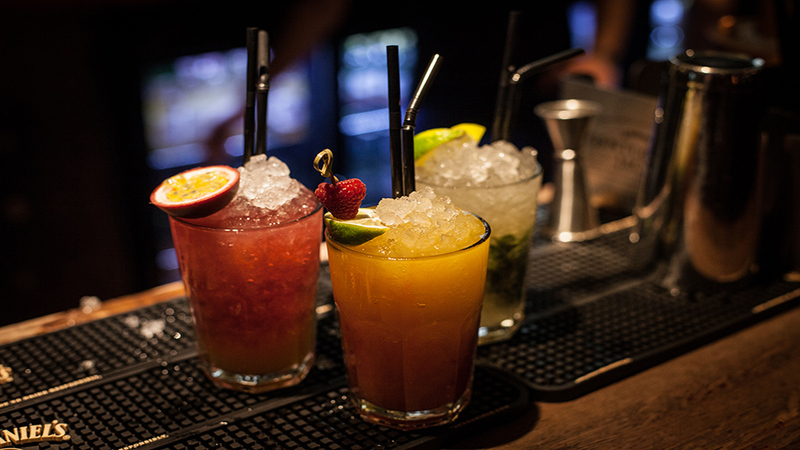 Evolving from the words ‘mock’ and ‘cocktail’, it is experiencing high demand with times among the customers where mocktails and cocktails are providing the same experience, the former being devoid of alcohol. Constant expansion of mocktail segment is making restaurants work on intricate layers of flavors, attractive colors, quirky names and inventive presentations which are making the customers go crazy for the product. The beverage is all about freshness, quality, seasonality and creativity. The change in the drinking habits of people has created a lot of buzz in the industry which has allowed bartenders to experiment with the syrups and other flavorings to satisfy the customers. It’s a spillover from the ongoing mocktail revolution happening across the country where people are choosing to avoid alcohol.”We are constantly experimenting with our products in order to provide something new to our guests. We see the love and craving people carry for mocktails which is expected to grow in near future. Introduction of molecular gastronomy to our beverage segment did the rest in branding our beverage menu,” shares Dilip Raj, Co-owner, Str8up. Mocktails are making their way into menus across India blending various ingredients into refreshing booze-free drinks. Customers who are looking for the same crisp and complex notes of wine and beer without any alcohol content are appreciating and falling in love with these drinks. Hence, mocktails are providing experience along with taste to a non-drinker who love to have a blast outside as well as at home. The presentation and flavor of the drink adds upon the experience of the customers. Dabur India recently launched their first ever ready to drink packaged fruit-based mocktails under Real creating a buzz in the Indian market. The brand claimed to be the first for crafting ready-made mocktails by professional mixologists providing the same experience people have at restaurants. It clearly states that mocktail segment is experiencing more demand than ever which will certainly define the future of the beverage industry.